Brazilian Jiu-Jitsu is a grappling martial art where to goal is to force your opponent into submission with joint locks and chokes. The emphasis is on technique and leverage. BJJ was designed to allow a smaller person defeat a stronger foe. These classes are run in a BJJ Gi, and will have a competition focus on grips, sweeps, submissions, passing and top pressure. Our classes are run by BJJ Black Belts, Cris Brown, and Dom Chev, who combined have over 60 years experience in the grappling arts and MMA. BJJ is a crucial discipline for any MMA practitioner to study. For competitive grapplers, these classes along with the Wrestling and Submission Wrestling classes are a must. These classes run for 45 mins. 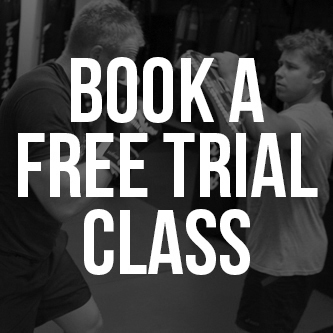 -Your fitness level will improve over time in the class. Grappling fitness is usually it's own type of fitness that you can only get through time doing it. A lot of people think they need to come in with a solid base of weight training but it's not true. I have no grappling experience, is that a problem? -This is no problem, you will pick things up as you go, all our team and members are very accommodating for beginners. -These classes are practiced in a BJJ Gi, you will also need a mouthguard, the class will run barefoot on mats. To train and learn under Cris Brown is a chance in a lifetime! 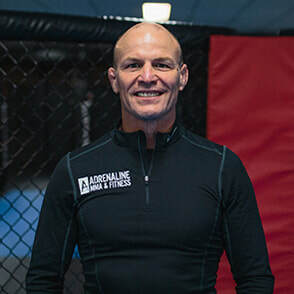 Now Cris has opened his own gym and if anyone is serious about their training and wanted to be pushed beyond their limits, Cris' new gym, Adrenaline MMA & Fitness is the place to train. Cris will always push you hard and bring out the best in you as he wants to see you do well. And all the crew at Adrenaline will support you as they also want to see you grow and improve and that's the main thing. I feel honoured to have trained with Cris and to have him as a friend. I wish Cris and everyone at Adrenaline MMA & Fitness all the best for the future.